Workplace Wellness Day takes place on April 12th 2019 and is now in its fourth year running. Last year a whopping 700 companies took part nation-wide! It’s not too late to sign-up and take part! IBEC and ‘Food and Drink Ireland’ are running the initiative. There are so many different ways to promote this day in your workplace in Dublin and Nation-Wide and what a lovely refreshing break it might offer staff from the normal 9-5 work routine. Staff will thank you for getting involved. You could try something new as part of a Health Incentive and be part of the movement of wanting to create a healthier working environment. The options are endless, why not sponsor a walk at lunchtime? Or try a meditation class with singing bowls? You could possibly kick-start healthy eating in the work place-place by linking in with healthy- food providers and switching the junk- food vending machine to high energy, sugar free snacks. Sisu juices have a delicious selection of healthy juices for the work-place and Dr Coy’s Healthy ‘free from’ chocolate selection would keep everyone very happy! Here are some SIMPLE suggestions you could try. Remember the budget does not have to be BIG, there are many free events you could run too. As a nation, we’re not faring to well with Work-life balance. Nearly half the adult population feel they are not getting enough sleep with 41 % of the population only getting 6 hours sleep on an average week night. This could be a great starting point for your company to introduce a strategic long-term programme. Today it is becoming the new norm to be constantly ‘exhausted’ and ‘switched on’ which is leading to stress related illnesses. Almost 80% of Corporate workers are concerned over mental health with one in five having missed work (2018) due to stress, anxiety or depression. 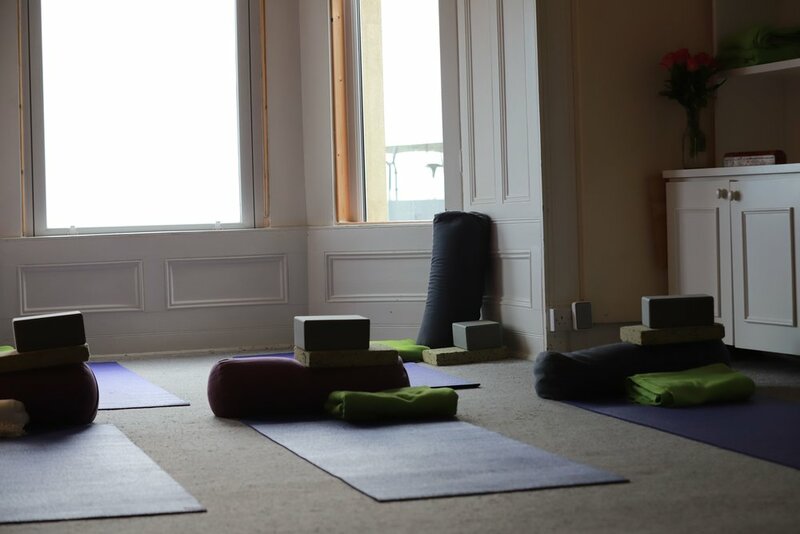 I’m delighted to offer Wellness Programmes to help look after both mental and physical health through Yoga classes, Onsite Massage & health Talks. With a background of working in the Corporate World, I understand how difficult it can be to find that balance. But it is possible with small, simple steps, repeated routinely. By eliminating tension on the body, you will have more focus, clarity and energy. My approach is Holistic, lots of calming scents, good tunes all help to enhance the well-being experience. Can you remember how good you felt after your last massage? Check out some reasons and benefits of why you should book yourself a massage. My yoga teacher will help you release tension with all busy thoughts dissipating through the Window! You will feel renewed and recharged, I love how Yoga has the ability to completely clear the head and nourish the body at the same time. Whilst running a day event is enjoyable for staff, it can sometimes be a bit of a tease! Although it’s better than nothing, more is needed to really make an impact for the long-term. A recent study showed that if staff felt that their employer did not value their health and Well-being, 49% were likely to leave. The saying is so true ‘Your Health is your wealth’. Staff deserve and need help with the work life- balance. Mental health problems are alarmingly high in Ireland and staff need to feel the workplace is a safe environment to talk. A simple ‘How are you’? check in from a Manager to a staff member can go a long way. It’s wonderful to see Companies like ‘Sky Ireland’, ‘ESB’ and ‘Bank of Ireland’ and many more Companies leading the way in Health and Well-being and running exciting Well-being programmes. I’m delighted to be organizing a mile walk for staff and getting outdoors to the Wicklow Mountains organizing a hike for those that feel the need for some self-care time & gulps of fresh air! Did you know that by simply being in Nature it helps create calming hormones in the body? Make sure you get a daily dose of fresh air! Enjoy the day and feel free to reach out to me HERE if I can help you create a fun ‘Workplace Wellness Day’. Learn more about Yasmina HERE, Business Owner of the ‘Wellness Circle’.